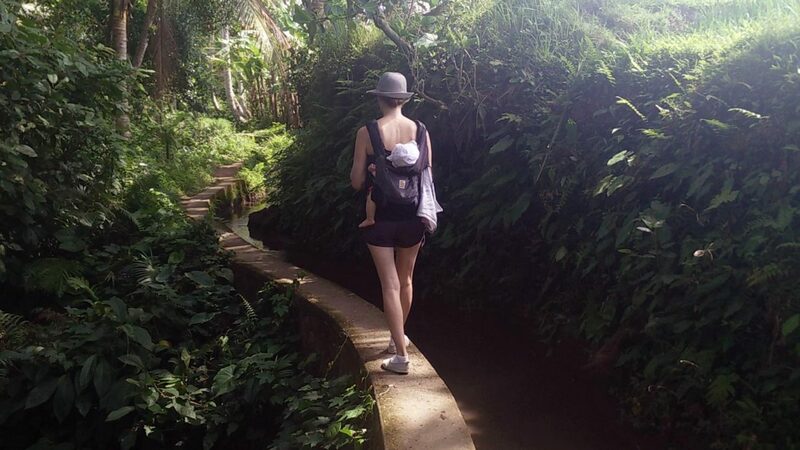 In our first four weeks in Bali we witnessed thousands of Chinese tourists on package holidays, dozens of Indian couples on honeymoon, and we were tourists in Seminyak and sojourners in Ubud. Each has its own lifestyle and merits — why not try seeing the world with a different hat on? When Hubud co-founder Steve Munroe stood up at the DNX Digital Nomads Conference in Bangkok and told the audience ‘You are all tourists’, the audience gasped. People who travel and live abroad — for shorter stays in different locations, like Digital Nomads, or longer stays, like expats — like to think they have a deeper experience than tourists and see it as a dirty word. ‘Tourists’ are seen as passive consumers sitting behind a sheet a glass, the world passing them by on a conveyor belt of tour busses, entrance queues, all-inclusive resorts, and mass market restaurants and souvenir shops. ‘Travellers’ see themselves as active in their environment, asking locals advice, discovering restaurants and attractions, and constantly on the look-out for the undiscovered. Working people all over the world work very hard, and sometimes just need an escape. Sometimes you just need a break. A break from the winter, from school or work, from the monotony of everyday. Independent travel means constant decision-making, struggling in another language, and time consuming research. It can be far more relaxing to have someone else in-the-know make the daily decisions for you. Plus it’s often cheaper to get the package than the plane tickets alone. Over the next ten years I imagine package tourism will have a much-needed face-lift and packages will become more customised, specialised and cater to smaller groups to help spread the burden of increased world tourism. Your choice of luggage can define your travel experience. Backpacks are designed for independence. Everything you need is attached to you, freeing your body to move around and interact with your surroundings. Above anything backpackers are about hanging out with other backpackers and telling backpacking stories. You can spot the rookies by conversations about accents or different words we use in Canada vs. the US vs. Australia vs. England. Some of the most colourful characters and best laughs I’ve had have been with backpackers. Spending every waking moment, communally cooking, dorming, and sightseeing together — weaving independence with collective co-dependence. Be invited on all sorts of unexpected adventures. Travelling alone opens you up to your surroundings, but can be lonely at times. The loneliest and then most social birthday of my life was spent in the French Alps. I arrived in Annecy in the evening but the local hostel wasn’t answering their phone, so I hitch-hiked into town and found a cheap hotel room. In an empty building, in an empty neighbourhood, without hearing or seeing another soul for the rest of the very lonely evening. The next day, the hostel staff managed to answer their phone, and after check in I spent the afternoon chatting with the hostel bartender. He and some of the hostel staff were going out that night to celebrate a friend’s birthday that lived on the other side of Lac Annecy, and there was an extra seat in the car for me to tag along. It turned out the birthday boy loved Canadian rye and a huge group of us spent the evening laughing and singing ‘Happy Birthday’ in different languages. This ended up being one of my most memorable experiences while travelling, and would have never been possible if I weren’t travelling alone. I have similar stories about walking from Greece to Macedonia alone, travelling to the Sahara desert alone, and a fun coach ride to Istanbul alone. Make or break your best friendships. I have lots of friends who I don’t think would be very fun to travel with. But the best company I’ve had was always with old friends making the best of some pretty dodgy travel situations with me. Despite constant obstacles and sickness in Peru, I most remember all the clever banter with my good friend Sarah (‘Unless there’s some alpaca or guinea pig in that hamburger, I’m not interested!’). In Latvia, I’ll never forget Anastasia’s perfect response when she discovered a drunk Spanish boy who had stumbled into her bed overnight (who was actually in the right bed, but on the wrong floor). Over the years of living apart, we had drifted apart. But on the road the bonds were back and stronger than ever. Travel makes you vulnerable to each other and can be the substance of lasting memories and resilience. It can be exhausting constantly making new friendships on the road, and it takes a long time to establish the familiarity and safety of social networks — essential for your emotional health. Bringing a partner with you really helps with emotional issues, allows you to share something profound together, and protects you from some of the daily discomforts of being constantly approached by people around you. However, travelling with your partner can easily limit how deep your experience is locally, because it’s always easier to turn to each other instead of connecting to people around you. Plus, couples are less interesting than solo travellers or friends — the only people who want to talk to you are other travelling couples. Why not skip all the time-consuming research and get straight to the punch line? I live around the world and have friends who live around the world, and visiting them is my favourite introduction to a new place. They understand local customs and some language, can hold your hand through the initial discomforts, tell you the good places to go, and are often excited to use you as a partner in adventure for things they can’t do with their local friends. The benefit of growing up in a multicultural country like Canada is that many of my friends are first-generation Canadians and have family to visit in other parts of the world. I’ve seen India with an Indo-Canadian family, Hong Kong with a Chinese-Canadian friend, and the homelands of many of my friends I’ve met living abroad. I also have extended family who lives abroad, and though my fatherland never seemed cool when my grandparents took me there, subsequent visits to see my young hip cousins brought me an excitement about the place. Immerse yourself in your passions and connect with people and places in new ways. Meeting entrepreneurs around Southeast Asia, olive tasting around the Mediterranean, learning every Latin dance – these are all ways to the see the world that will immediately give you an ‘in’ everywhere you go. Theme travel helps reduce decision making, introduces you to people and places you otherwise wouldn’t meet and instantly binds you through a common interest. As people seek more and more authentic travel experiences, I expect theme travel to grow enormously over the next ten years. Airbnb has already started tapping into this market with their ‘Experiences’ — activity packages to introduce travellers to alternative things to do in different places. The best combination of discovery and familiarity, sojourners have extended or repeated stays in one place that they love. Never heard of a ‘sojourner’? Officially a sojourner is someone who stays in a place for longer than three weeks, or goes back to the same place more than three times. Many sojourners have summer homes in another country, or are ‘snowbirds’ who spend winters in a warmer climate, or people taking a sabbatical in another country. Our favourite times on our family sabbatical have been as sojourners — four blissful weeks at a beach house in An Bang Beach, Vietnam, and three weeks socialising with expats at our villa in Penestanan Village, Bali. We made meaningful friendships with locals, expats and digital nomads, had a taste of living in those villages, and enjoyed the familiarity of knowing the local shops, markets, restaurants, and prices. My ideal lifestyle would be to live my wonderful expat life in Amsterdam, and spending all my children’s school holidays as a sojourner in Italy, Canada, Vietnam and Bali. Fancy living a modern day Casablanca or Out of Africa? Expats stay long — at least two years, usually many more — and often have strong social networks and even families abroad. They often speak (varying degrees of) the local language, understand many of the local cultural nuances and charms, and have a dual identity as a local and a foreigner. Expats vary greatly – in most expat communities, people are some combination of: (1) the expats who only hang out with other expats, whose definition of a good place is based on having cool expats there, who transport their familiar world to different geographical locations around the world; (2) the expats who will have nothing to do with other expats. They do not greet the only other expat in town, they can’t remember the last time they spoke their native language, they write in their day planners in the local language and only eat local foods; and (3) the expats who have local and expat friends, but whose expat friends are actually enriching their local experience rather than solely being a source of escaping it. The best expat communities I’ve enjoyed were in places where expats were a small minority and forced to learn some of the local language. At home everywhere, and nowhere. Over the last five years the nomad community has exploded with the increase in digital nomads — location independent workers who only need an internet connection to perform their daily work tasks. Fifteen years ago, nomads were rare to come across, but since the publication of The Four Hour Work Week I’ve met dozens and dozens of digital nomads all over the world, and it’s a lifestyle that will only continue to grow as more people learn about it. Co-working spaces like Hubud, Kohub, and HubHoiAn are important to build a sense of community, and it will be interesting to see how this community develops over the next 20 years, for better or for worse. I spent my 20s living as a nomad, knowing where I’d been but not where I was going. Being a long-term nomad can really impact your psyche, making you feel paradoxically connected and un-connected to everywhere. Nomads do normal things in extraordinary settings, have a wide range of insatiable interests, and have gotten really good at letting themselves be in the hands of others. They like to have guest rooms whenever they are temporarily settled, and they know another nomad when they see them. There are limitless ways of experiencing the world around you, and while some classify them as being a greyscale of shallow to deep, I think of them more as different axes across a landscape. While my journey and those of other travellers seem to be profoundly geographic, others chose to understand a variety of contexts in one place, or concentrate on their relationships with their partners, or travel inwardly with meditation. Diversity is the spice of life after all, and the more hats you try on the more hats you’ll see and the less you’ll judge what other people are wearing. Which hat have you worn that I missed?